Followed by a presentation from Dr Selina Palm – Researcher, Faculty of Theology, Stellenbosch University, South Africa on the recent JLI GBV Hub study funded by UK-Aid on Harmful Traditional Practices and engaging faith leaders to challenge social norms and discriminatory gender practices. Highlighting the need to engage with diverse voices and experiences. Creating safe spaces for diverse opinions in bringing faith voices and secular voices together to address discriminatory gender norms. Further both a public health and a theological approach are needed to address traditional practices that can be harmful to women and girls. Duretti Haji– Programme Manager, Islamic Relief Ethiopia, shared their experience with addressing FGM and forced early marriage in pastoral communities in Ethiopia and the importance of engaging men. Spoke on NCA’s program development in Ethiopia engaging the Coptic Orthodox Church and Evangelical Church. NCA’s engagement model started with faith leadership engaging in theological reflection and committing to change. Spoke on the Church of Uganda’s program involving advocacy and media, engaging in policies around FGM, domestic violence and marriage. Using the pulpit as a place to give context and other church events for further outreach. Also acknowledging the challenges of working with multiple ethnicities, limited capacity of faith leaders, different interpretations of texts and limited financial resources of the church. Reverend John Joseph Hayab – Faith Leader, Nigeria, acknowledged that harmful practices are not just a Muslim problem, but a Christian problem as well. To address this, the Church in Nigeria uses Muslim and Christian sacred texts to start discussions through the Collective Action for Adolescent girls initiative in Kaduna State. Natalia Lester-Bush – JLI GBV Hub Secretariat Coordinator moderated the final panel and highlighted social mapping research by Queen Margaret University on a Tearfund social connections program in conflict situations as evidence for the invaluable role of Faith Leaders and the trust conflict-affected and displaced communities place in them. Panelist Dr Azza Karam – Senior Advisor on Culture and Social Development,UNFPA, shared about lessons learned from their engagement since the inception of the Interagency Task Force on Religion and Development. Diana Arango – Senior GBV and Development Specialist, World Bank Group and JLI GBV Hub Co-Chair, shared about lessons learned from World Bank projects addressing gender-based violence and the need to engage local actors to create sustainable solutions. 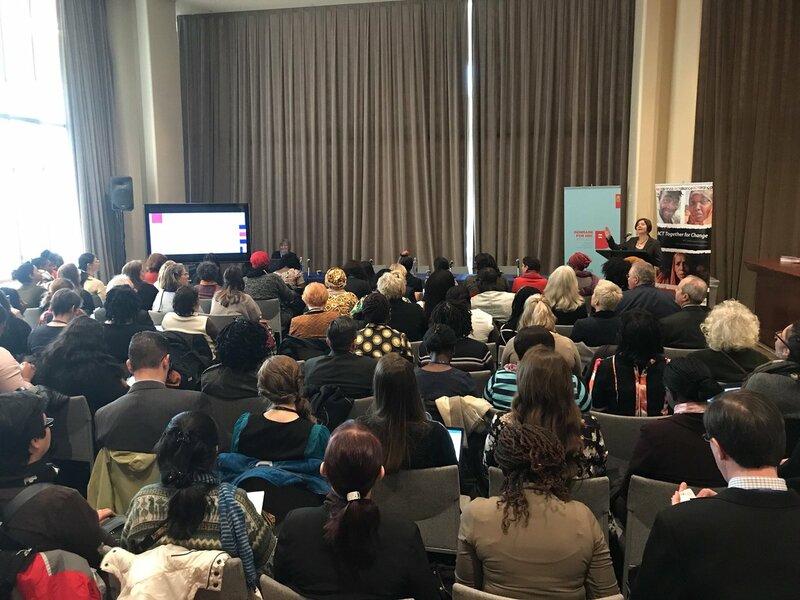 While Dionne Gravesande – Senior Ecumenical Relations Manager, Christian Aid, shared about Christian Aid’s work in Zimbabwe Council of Churches and ending forced early child marriage and gender-based violence. Lastly, Selina Palm, Stellenbosch, shared on behalf of ABAAD on their work with faith-based actors in Lebanon.